When you need to quickly remove spots, there is not a more convenient and easy to use option. 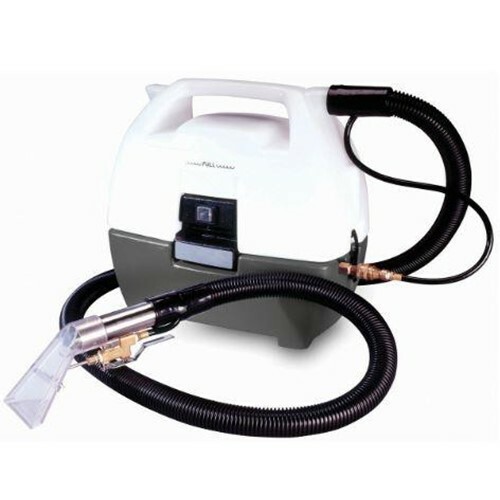 Designed to be portable and lightweight, this machine features 1.16 hp motor and a 55 psi pump to clean deep down into the carpet. It also accommodates a variety of tools for any spot or fabric type. Deluxe model includes standard Presto 3 Hand Tool and the Double Dry Hand Tool. The Double Dry Hand Tool uses an enclosed jet spray to prevent over spray and dual vacuum ports for bi - directional cleaning and superior water recovery. Features a built - in brush for more aggressive cleaning.